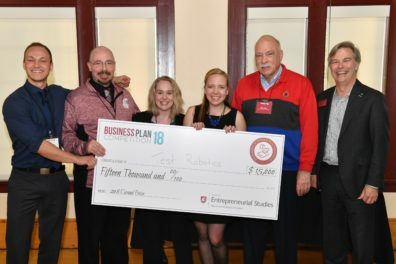 If you’re a student entrepreneur or aspiring business owner, the Center for Entrepreneurial Studies presents the WSU Business Plan Competition – an unparalleled opportunity to practice entrepreneurship in a real-world setting and receive guidance as you launch a new venture, plus a chance to win thousands of dollars in prize money! Sharpen skills. Working on a business plan team develops innovative thinking, builds leadership, and refines communication skills. Network. If you’re a finalist, you and your team will present your idea to investors, entrepreneurs, and industry professionals at the competition in April. Finalists also have the opportunity to exchange ideas with judges over dinner. Prepare for your future. Take what you’ve learned and apply it in an existing company or new venture. Move from idea to execution. Develop, test, and pitch a startup idea with your own team. Get advice and mentoring. 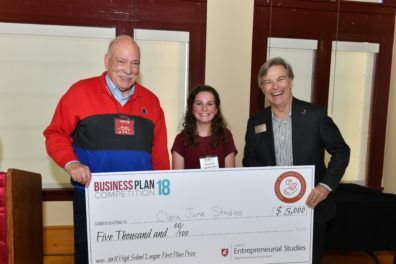 Seasoned entrepreneurs, industry experts and entrepreneurship faculty mentors devote countless hours to help students navigate the entrepreneurial process. Build momentum. Take your experience in the competition and invest in the growth of your venture.